If discovery is one of the joys of traveling, difficulty sleeping is a major travail. Many travellers find themselves missing out on a good night’s sleep while they are away from home. If you are not one of the lucky few that can drop off to sleep anytime, anywhere, there are ways to help you stay rested, even if you are sleeping in an unfamiliar place. Bring your pillow with you. Your pillow might offer a small comfort of home, even by just carrying its familiar scent. You can’t bring your whole bed, so having your pillow at the very least will help aid in feeling more comfortable, no matter where you are. If you could not bring your own pillow along, creating a makeshift cervical pillow can help you position yourself more comfortably. Fold a small towel so it matches the pillow, and then roll the towel into a small tube. Slide this roll into the near edge of the pillow as a makeshift support for your neck. Make even your hotel rooms feel as much like home as possible by carrying a photo of your family or loved ones in your bag, bringing your own pillow, and wearing comfortable clothing. Try to stay in one hotel room or hostel for multiple nights. When you try to sleep in unfamiliar places, one hemisphere of your brain will stay more awake than the other as a means of being more alert to any potential danger. 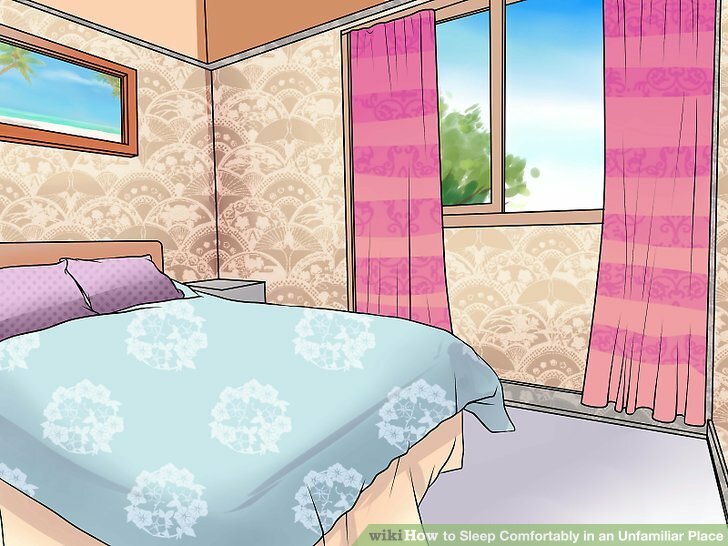 But, the longer you stay in one place—especially when you have the comforts of home, like your own pillow—you will likely become more relaxed. Good news for those who might be staying in one hotel room for a few nights! Wear headphones or earplugs to help cut down on noise disturbance. This helps not just in hotel rooms but also if you are trying to sleep on mass transit. Try listening to soft music or white noise. Earplugs are a particular must if you’re sleeping in hostels, where you could end sharing a dorm room with 10 or more people, depending on the size of the dorm. There are even headphones designed to be worn comfortably while sleeping, as they lie flat against your head in a soft headband. If you travel often, these might be a good idea to invest in. These are small machines that fill a room with a noise cancelling sound to help you fall asleep. 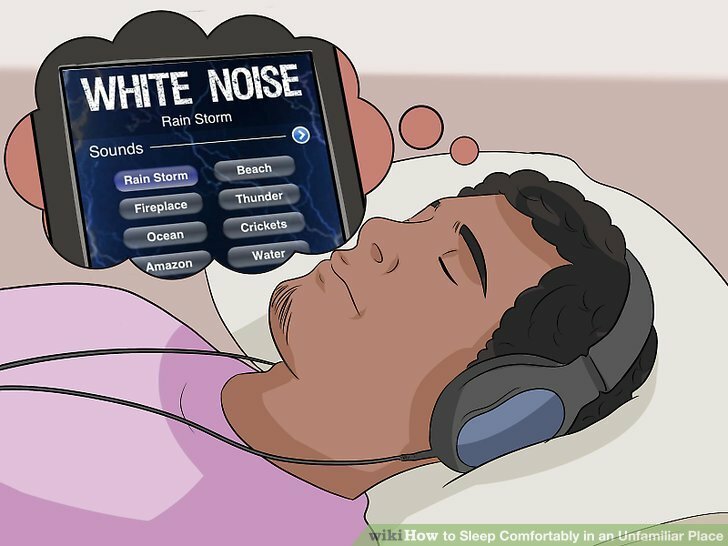 If you don’t want to invest in a white noise machine or noise-canceling headphones, create your own white noise to drown out disturbing racket. 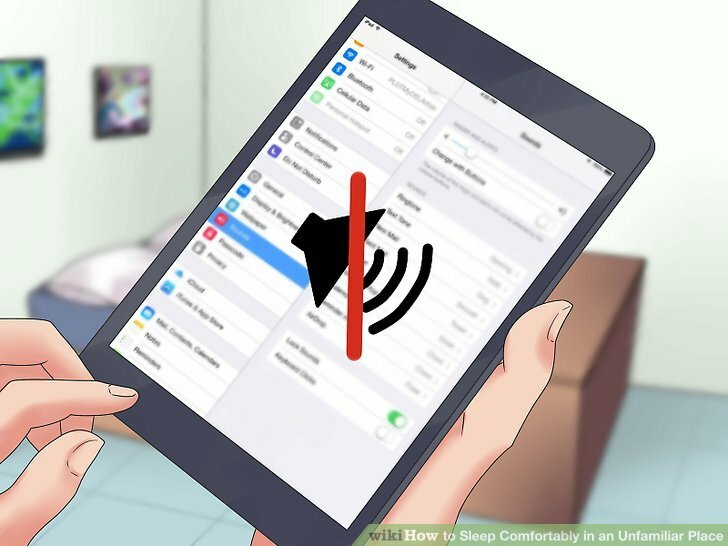 Leave your iPod playing softly, turn on the bedside radio, or use the television, if there is one, on a sleep setting. Be careful, though, because of the negative effect that the light from the TV could have on your ability to fall asleep. If using the TV just for noise, make sure to wear an eye mask to block the light. Darkness is the first natural signal to your body that it is time to go to sleep. Too much light will keep your body from being able to properly relax and become ready for sleep. 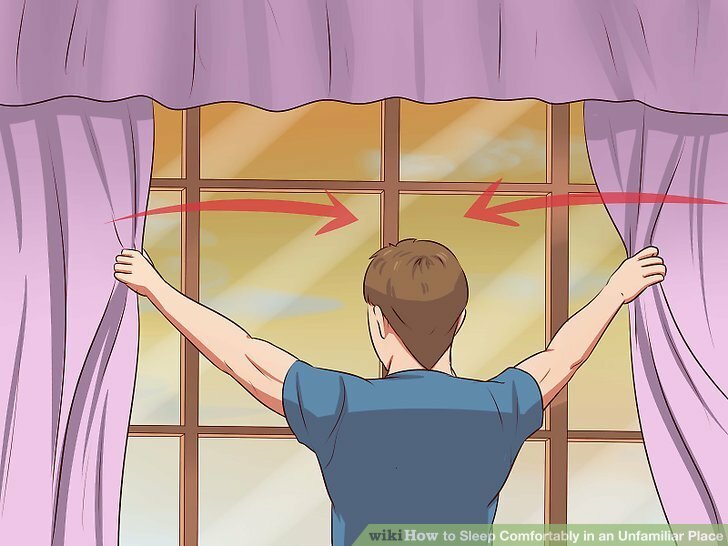 Use curtains on windows or place a rolled towel beneath the door to block light and noise. Pack a couple of clothespins or metal binder clips to hold the curtains shut if necessary. Wear a sleeping mask to cut down on potential sleep disturbances from too much light. If you make the sleep mask a part of your everyday bed routine, putting the mask on also signals your body that it is time to relax. This includes artificial light, too. Things like nightlights and even digital clocks can interrupt the process of falling asleep. Eliminate as many forms of light as you are able to, either by shutting them off or wearing a sleep mask. Adjust the room temperature, if possible, as soon as you arrive. 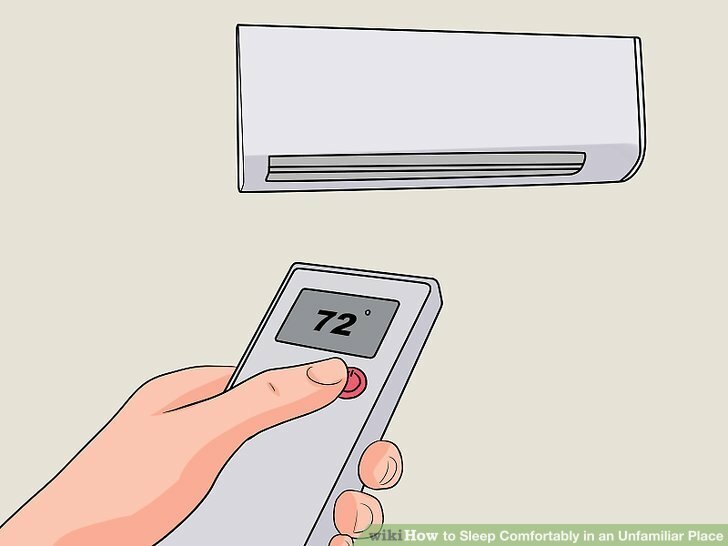 That will give the room some time to reach the proper temperature, and you some time to make final adjustments, before you go to sleep. Since your body normally cools down as you fall asleep and your heart rate slows, keeping your room cool can help get the process started faster. Avoid staring at a clock. Just like the light from digital clocks can keep you awake, the act of watching the time can make it more difficult to fall asleep. 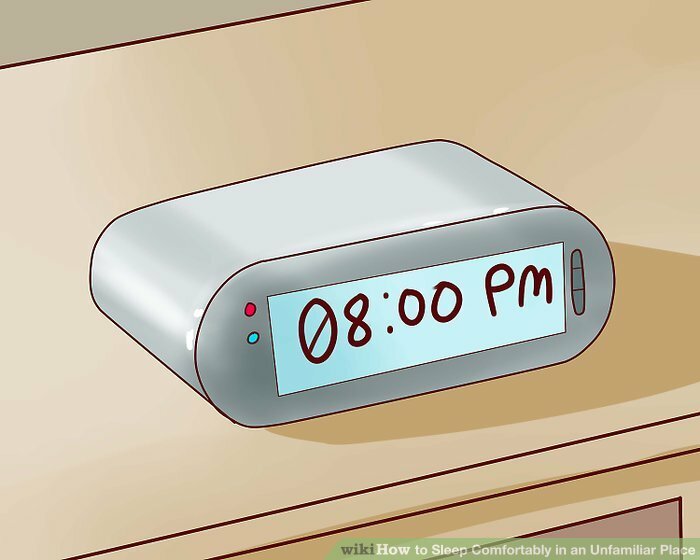 Staring at the clock can be stress-inducing, so turn digital clocks away and don’t position yourself near any wall clocks when trying to sleep. Maintain your normal before-bed routine even when away from home. Having a set routine can help you sleep better at home, but also when you’re away. 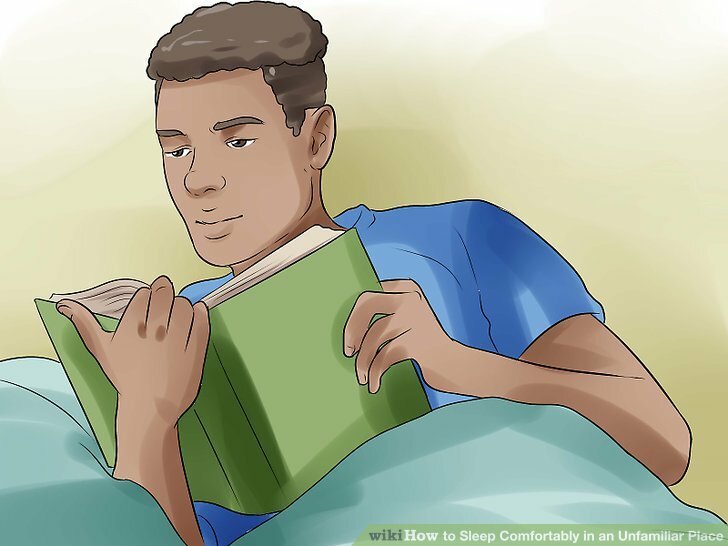 Many experts agree that the most successful people read right before bed. So, try reading a few chapters of a book before bed, both at home and while away. 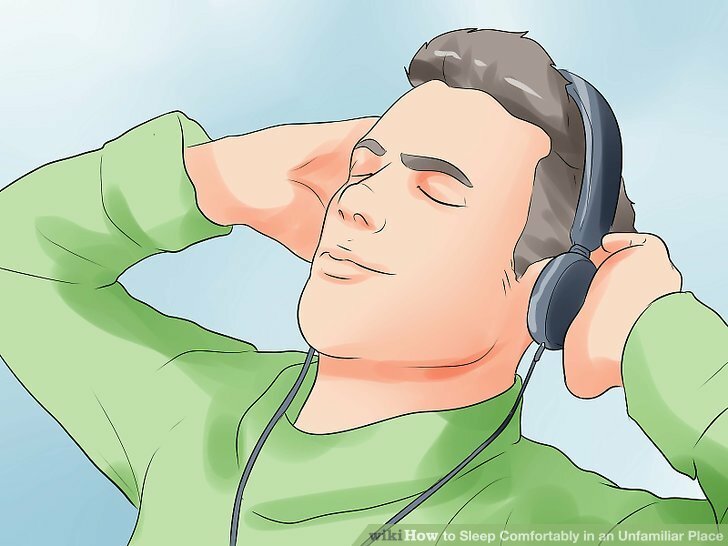 It can help relax you and help you to wind down from a stressful day, or even help you block out things going on around you if you are trying to get comfortable in a more public place, like a plane or hostel. Stop using your phone, tablet, or laptop just before bed. Research shows that using your phone before bed can hinder your ability to easily fall asleep, due to the blue and white light that the screens of our electronics emit. This light tricks our brains into thinking it is still daylight, and inhibits the release of melatonin, which is a natural sleep-inducing hormone. Power these devices down a good 60 to 90 minutes before bedtime, both at home and on the road. Take any medications at the right time of day. Daytime cold medicines, for example, contain chemicals designed to help keep you awake, so try to avoid taking those too close to bedtime. Avoid watching television, eating or working from bed, if possible. If you learn to associate your bed with only sleep rather than with work or wakefulness, it can help make it easier to fall asleep. Try to stick to a bedtime when you can. This can sometimes be difficult when traveling, but if you try to stick to a certain bedtime, it will help regulate your body’s natural sleep schedule. Avoid caffeine and other stimulants that might keep you awake, beginning in late afternoon. 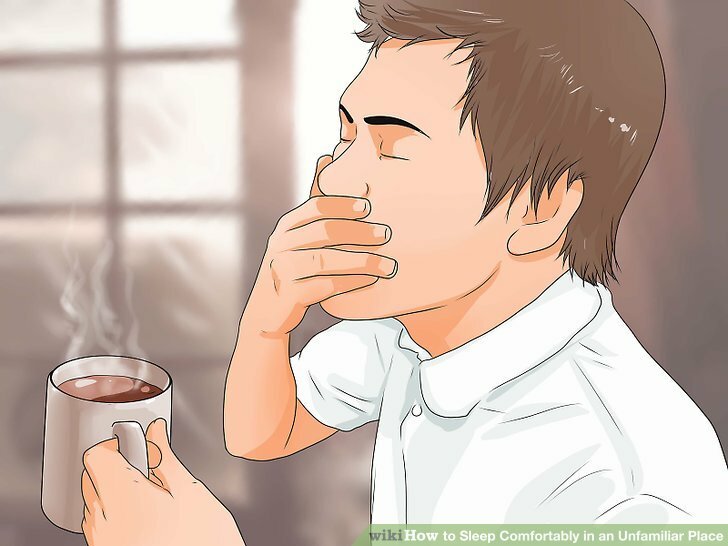 A study recently showed that drinking a caffeinated beverage even six hours before bed made it difficult for subject in the study to fall asleep. If you are especially sensitive to the effects of caffeine, keep your caffeine consumption to the morning only. Avoid heavy, filling meals too close to bed. Eating a large meal before bed could make digestion a bit more difficult, and lead to indigestion, which could then cause you to stay awake—and be uncomfortable. Traveling can bring about all kinds of stressors, and all of these can make it more difficult for us to fall asleep while we’re away. Try to pinpoint the things that stress you out while traveling, and work to correct them. Maybe you are trying to sleep on mass transit and are worried you will miss your stop. If you are wearing headphones, just set an alarm on your phone or iPod. The alarm will sound in your headphones, or even vibrate in your pocket.